Drawn to the "small batch" or "hand-crafted" bourbon at your liquor store? Turns out, those phrases might not mean much. Widow Jane’s flagship 10-year-old straight bourbon is a common sight in hip Brooklyn bars and, according to the company, it can now be found in more than 30 states and 15 countries. Part of its popularity could be attributed to its supposedly artisanal New York credentials: “The pure, unique waters of the Widow Jane Mine are what distill our artisan spirits in Red Hook, Brooklyn,” its website proclaims. There’s just one problem with that claim — it isn’t exactly true. Widow Jane doesn’t actually distill its most well-known product at all. Instead, they buy it in bulk from a distiller in Kentucky. And the special water they highlight on every bottle, in countless interviews and on all their marketing materials — it doesn’t come from the actual Widow Jane Mine itself, just from nearby, sources told NBC News. Widow Jane is not alone on either count. Many recognizable and artisan American whiskey brands source their product from a massive wholesale distillery or take creative liberties in how they market their product. In just the last 10 years, the number of craft distilleries in this country has ballooned from around 100 to more than 1,400. That growth is a product of consumer demand, but it’s also due to the easing of state distillation laws and the availability of sourced whiskey from suppliers like MGP in Lawrenceburg, Indiana. Those brands aren’t alone in their Indiana provenance. Even super-premium brands like High West and Whistle Pig have sourced from MGP at some point in their respective histories. And the list goes on. 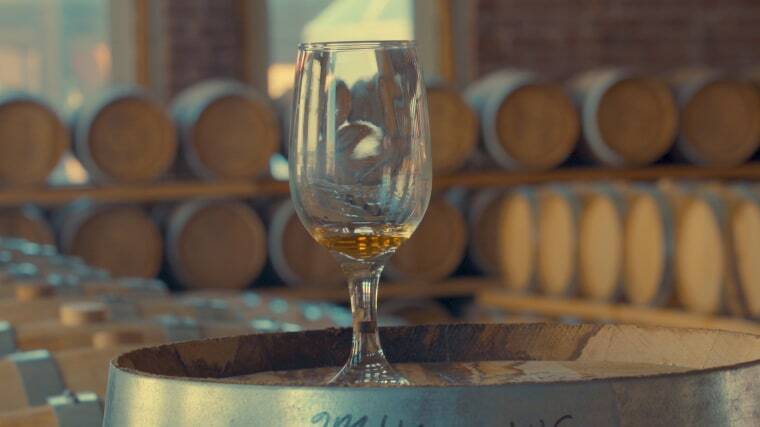 But, unless you’re fluent in the industry’s jargon, it can be “very hard to figure out who’s actually distilling their own whiskey,” according to Colin Spoelman, co-founder and master distiller of Kings County Distillery, which distills all its own spirits in Brooklyn, New York. Terms like “small batch,” “craft,” and “hand-crafted” have no set legal meaning — they’re just marketing terms. Likewise, brands are free to proclaim “made by,” “produced by” or “bottled by” on their label, even if they didn’t distill the actual spirit that’s in the bottle. MGP isn’t a household name in bourbon, but it’s well known among industry insiders and connoisseurs. With distilling operations headquartered in the old Seagram’s Distillery in Lawrenceburg, Indiana, MGP is one of the largest whiskey sourcers in the industry. Sourcing whiskey, or “barrel trading” as it’s been called historically, is a core business practice to the spirits industry. Brands buy wholesale liquid to meet unexpected demand, shore up supply chain deficiencies, or sell off excess stock when a distiller makes too much in a given year, for instance. But sourcing plays an especially outsize role with bourbon, because unlike clear spirits like vodka or gin, bourbon has to age for years before it makes it to market. So a production mishap or an incorrect market forecast made four or more years ago doesn’t come to fruition until it’s too late to remedy it without help. So why do so few people know MGP’s name? For one, it maintains strict confidentiality agreements with all of its customers; the purchasing brand only has to reveal MGP as its source if it wants to — an option many decline. In addition, labeling regulations only require that the bottler list in which state the liquid was distilled — easily done in tiny print on the back of the bottle. Widow Jane does just that: Its 10-year-old bourbon label proclaims “Kentucky Bourbon” on the back in small letters. That means it’s not from MGP in Indiana, but there’s no way to know which distillery in Kentucky made it unless Widow Jane releases that information. In an ever-crowded market, it can be hard for brands to distinguish themselves on their product alone — especially if they’re sourcing from a huge, common supplier like MGP. But it’s one thing to build a brand identity with an archetype in mind, it’s another to stretch the truth or outright deceive. The Century House Historical Society owns the Snyder estate and the Widow Jane Mine. Its current president, Henry Lowengard, and the Rosendale Library archivist, said that telling of the story is historically inaccurate. Of the two A.J. Snyders who owned the mine, neither were ever married to a woman named Jane. And despite Clark claiming they have a “tap” into the Widow Jane Mine to extract water, Lowengard disputed that as well: “The source of their water, Turco Brothers' mine, is still not connected to the water of the Widow Jane Mine, and we have no connection to Widow Jane Whiskey.” A representative of Turcos Brothers water also confirmed Lowengard’s statement, saying Turcos doesn’t have access to the Widow Jane mine itself. Clark disputed that characterization, saying that the company instead has access to a "closed portion" of the mine, rather than what she says is the open area of the mine under the purview of the historical society. She also said Widow Jane has a supportive relationship with the organization, an assertion that Lowengard said is not the case. The properties are close in proximity, however, so it’s safe to assume Widow Jane is sourcing limestone-rich mineral water from Rosendale, just not from the namesake mine as advertised. To many consumers, sourcing and stories might not matter. “There's folks that are happy to buy whiskey that tastes really, really good. A lot of these whiskies that are being sourced are just great whiskey,” said Jeffery Lindenmuth, executive editor of Whisky Advocate Magazine. He added that, on the other hand, those looking for local products might be put off by deceptive marketing.